Doctor Appointment Booking lets you manage your appointments on a single page. Users can filter entries, create prescription, see patient profiles, and much more. 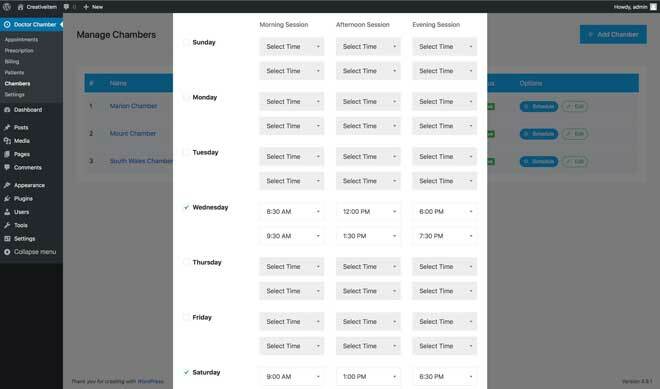 The plugin has flexible scheduling options. Want to manage multiple locations? No problem. Creativeitem is the developer behind this plugin. You can download it here.